If you are looking to stay in a quiet place away from the hussle and bustle of the city than Hotel Ranbanka is a good choice. Situated right outside Udaipur in Thoor this budget hotel is surrounded by greenery and also, offers serene views of a small mountain range located nearby. The rooms are spacious, well lit and modernly decorated. 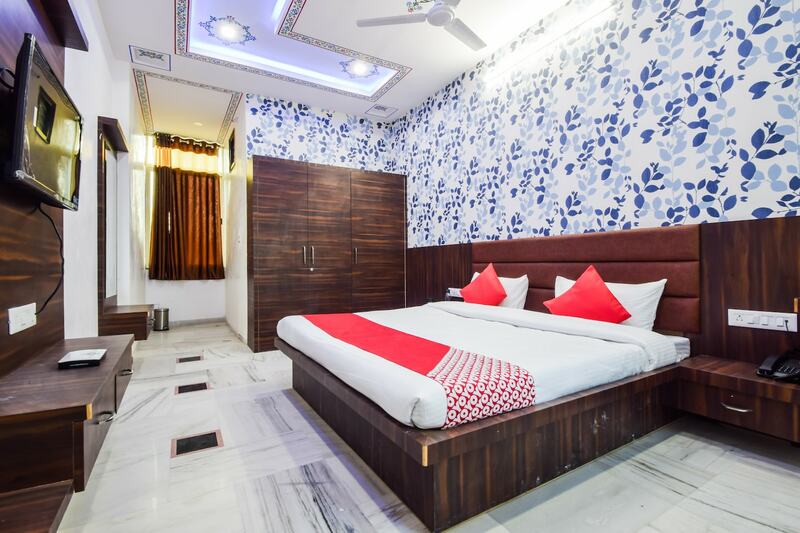 It comes equipped with modern amenities such as air conditioning, television, Wi-Fi, wardrobe, dressing mirror, attached western bathroom and queen size bed. Apart from this, the hotel features a well-equipped gymnasium, dining area, banquet hall, in-house restaurant and parking facility.